Experience, Innovation, Professionalism –> Customer Satisfaction..
Our team is commited to providing you a top quality job regardless of size. We understand that time is money and that you need cost-effective solutions. 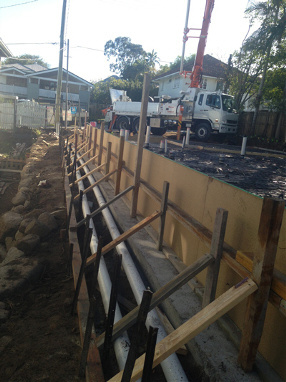 Hume & Sons Concreting can provide you with a wide range of concrete services at affordable prices in the Brisbane area. Our experienced team are ready to provide you with innovative solutions in a professional timely manner. Call us today for a obligation free estimate or quote. With expertise in all areas of concrete including mixing, pour and laying, our team can assist you with any domestic or commercial project you may have. Some of our skills are driveways, foot paths, foundations, building slabs, patios and more. Finishes include plain, stencilled, exposed, covercrete. We can even restore concrete. Allow us to take away the hassle and stress that can come with a building project, allowing you to focus on other important tasks. Our full range of concrete services are complimented by customisable options with very competitive rates. Contact us today to discuss your next project. Our team at Hume & Sons Concreting have extensive experience and knowledge in all areas of concreting. 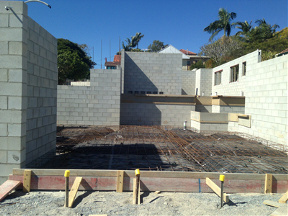 We specialise in building slabs and foundations and work to Australian standards with nothing but high quality materials. We pride our selves in our workmanship and use quality control at all stages from preperation to materials used for the job. We work with you our client in choosing the right products and backing that up with advice on maintenance and any other questions you may have. Our goal is to have customer satisfaction for each and every job we complete. Call us today!